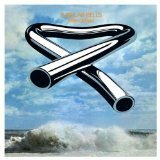 Tubular Bells is ranked as the best album by Mike Oldfield. Members who like this album also like: The Dark Side Of The Moon by Pink Floyd, Wish You Were Here by Pink Floyd and Led Zeppelin IV by Led Zeppelin. Showing latest 5 ratings for this album. | Show all 474 ratings for this album. I'm an Oldfield fan and Ommadawn is my fave Oldfield album, but I like the big finalé of side 1. Side 2 starts with the Celtic music, Mike Oldfield may not have invented new age music(Pink Floyd's "Echoes" from Meddle in 1971 sounds Oldfieldish at one point), but Celtic melodies became a key part of new age music in the '80s and '90s e.g Clannad, Enya, Loreena McKennit. The caveman part is strange, but interesting and I'm kind of entertained and amused by those big long screams. As for "Sailor's Hornpipe", I'm not sure if that is actually part of Tubular Bells or something extra like "On Horseback" at the end of Ommadawn, but it's a fun way of finishing the album and of course Mike would have a hit with a recording of "Portsmouth" a few years after. I think Tubular Bells is a little more "rock" than his next few albums, which may be part of why it's preferred, but I'm much more thrilled by the climaxes at the ends of sides 1 and 2 of Ommadawn than anything on Tubular Bells. Outstanding musicianship. Fun to listen to. Still don't like the Caveman section. Otherwise,an excellent piece of work. This album represents a high point of the prog rock scene the 70s did so well. It is unlike almost anything else available at the time (though check out Louis Clark's (per-spek-'tiv) if you like this), and deals in unusual instruments and time signatures, rapidly changing dynamics and tempos, and sparkling melodies. In short, listen with an open mind and you won't be disappointed. Highlights for me include "Introduction" , the 8 minute Finale closing side 1 with Viv Stanshall introducing the instruments and the quartet of tracks to close side 2 in "Bagpipe Guitars" / "Caveman" / "Ambient Guitars" (which sounds 100% like Mark Knoffler) & the quaint "The Sailors Hornpipe". I agree with Mehran great musicianship but boring! Indeed a very creative fella. Many ideas inside. But that does not mean he always strike gold. Au contraire, most of the cuts are exercises. Some interesting and some not interesting. I also don't enjoy the grunts that much but how the music builds from there, I find it quality (though the ending kindof spoils it). As I enjoy the rest of the album, including the sort of fugue in which he introduces the different instruments he plays. He was 19 when he released this, kudos for that. Didn't expect to enjoy this as not normally into prog, but thought I would give it a go. I quite liked it. It's a soothing and frequently melodic album that takes you on a bit of a journey. Not quite a true classic for me though. Taking rock and creating a real symphony. Part One is incredible, much better than Part Two.